Hardness is one of the most important properties, which determine the suitability of any rubber component for its intended end use. Incorrect hardness may defeat the basic purpose for which the component is designed. 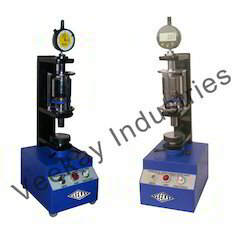 Thus accurate and reliable determination of hardness is of extreme importance in rubber field. 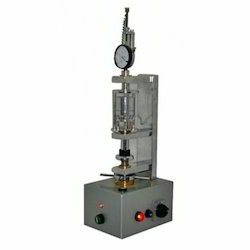 We supply the IRHD hardness tester that is used to assess the hardness characteristics of elastodynamics materials employing in the rubber. Made of high quality materials, we offer this product at competitive rates to our clients. The hardness of rubber is one of the most important properties which determines the suitability of rubber components for the intended application. Improper hardness of any component may defeat the basic purpose for which the component is designed. Thus accurate and reliable determination of the hardness is of extreme importance in rubber field.